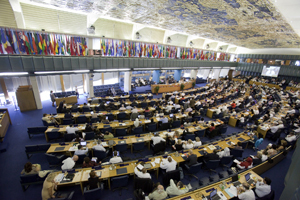 A daily online report from COFO 2012 was published each day during the meeting, featuring highlight events, speakers, interviews, videos and images. This report presents an objective and independent expert evaluation of the current state of the forest sector in the Russian Federation and possible alternatives for its development to the year 2030. It aims to increase the openness, transparency and investment attractiveness of the Russian forest sector. This USD20,000 award is given by the Collaborative Partnership on Forests (CPF) in recognition of outstanding contributions made by an individual to preserve, restore and sustainably manage forests and to communicate the key role forests play in rural livelihoods and the environment across generations. The award honours the life and work of late Kenyan and Nobel Peace Prize Laureate, Wangari Muta Maathai, on the first anniversary of her death in 2011.